Welcome to Pharmafill Technologies, Manufacturer and Supplier of Capsule Filling Machine and Spare Parts. The company was incorporated in 2009 at Mumbai. International quality standards and Cutting edge technology make us unique in the industry. Experienced R and D Department and Large Production Capacity and Easy payment modes are some of the key factors behind our success. 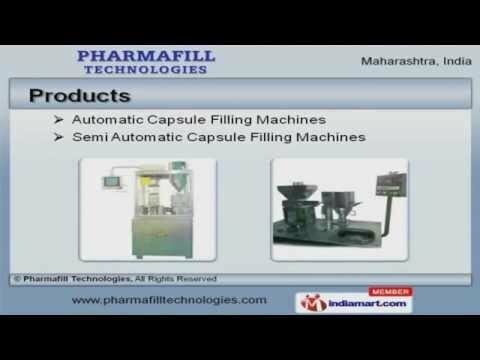 We offer a vast range of Automatic and Semi Automatic Capsule Filling Machines. Our Hand Filling and Capsule Polishing Machines are available at industry leading prices. Empty Capsule Ejection Machines and Capsule Filling Machine Spare Parts are setting a benchmark in the market. Our Automatic Capsule Loaders and Capsule Sorters are well known for their durability and reliability. Capsule Sorter Elevators and Capsule Filling Machine for Pharma Industry are available with superior finish. Capsule Polishing Machine and Automatic Capsule Loader for Pharma Industry are one of the best in the market.